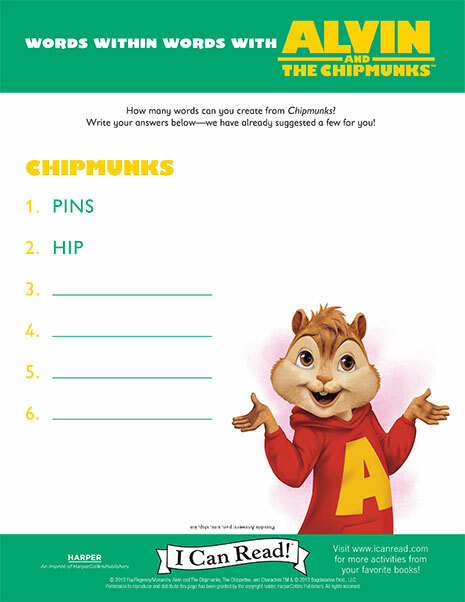 Alvin, Simon, and Theodore love to rhyme! 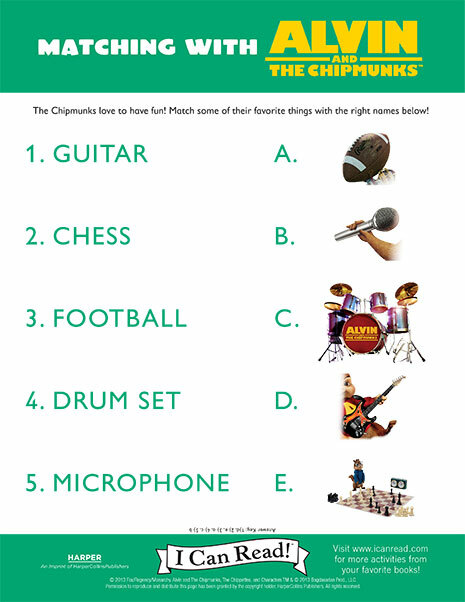 Help them think of some amazing rhymes for the words! 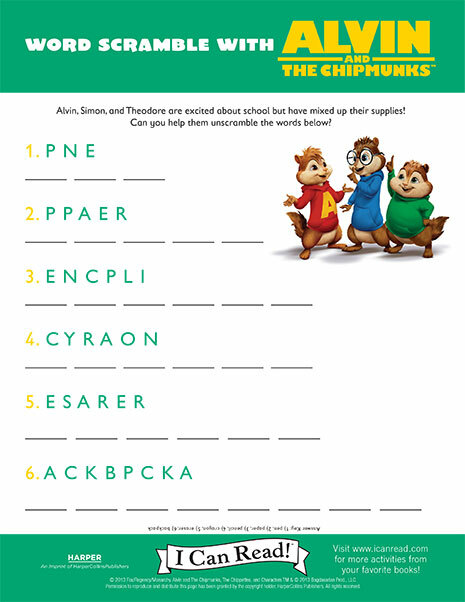 Alvin, Simon, and Theodore are excited about school but have mixed up their supplies! 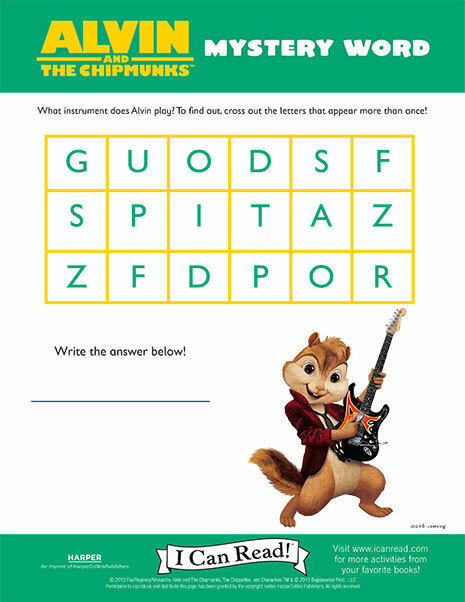 Can you help them with this word scramble?